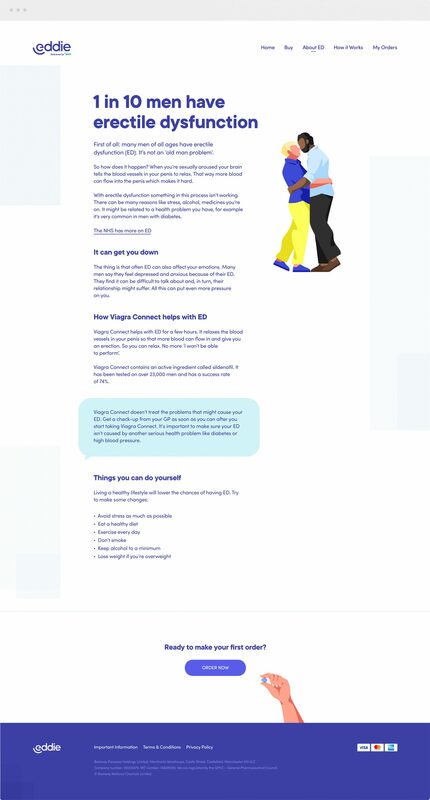 We were asked to help develop and launch a new men's health brand for Well Pharmacy team. 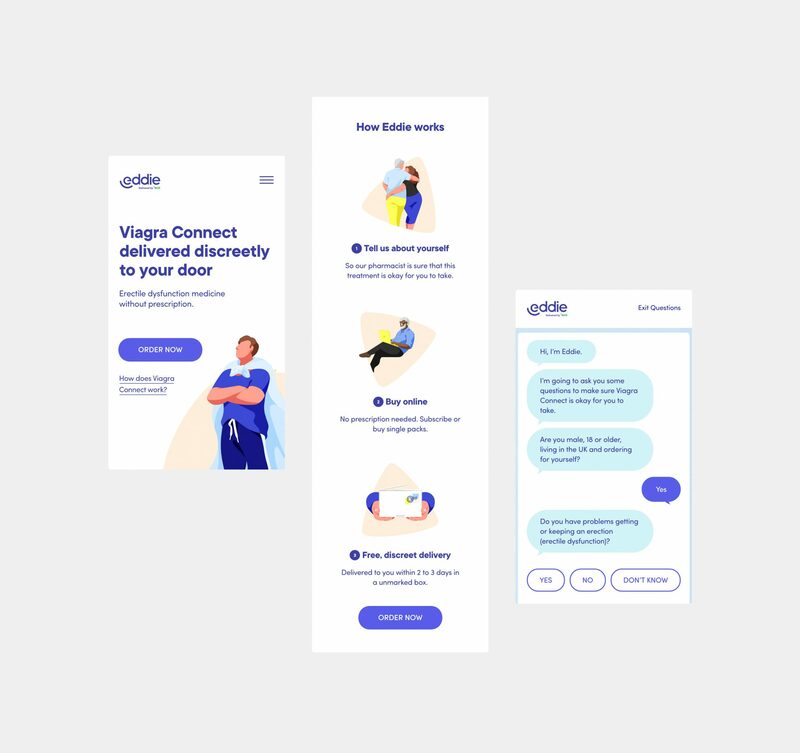 Our role was to design an identity and platform that would offer men’s health treatments without the hassle and embarrassment and help reduce the perceived barriers surrounding men seeking help for common, and treatable health concerns. 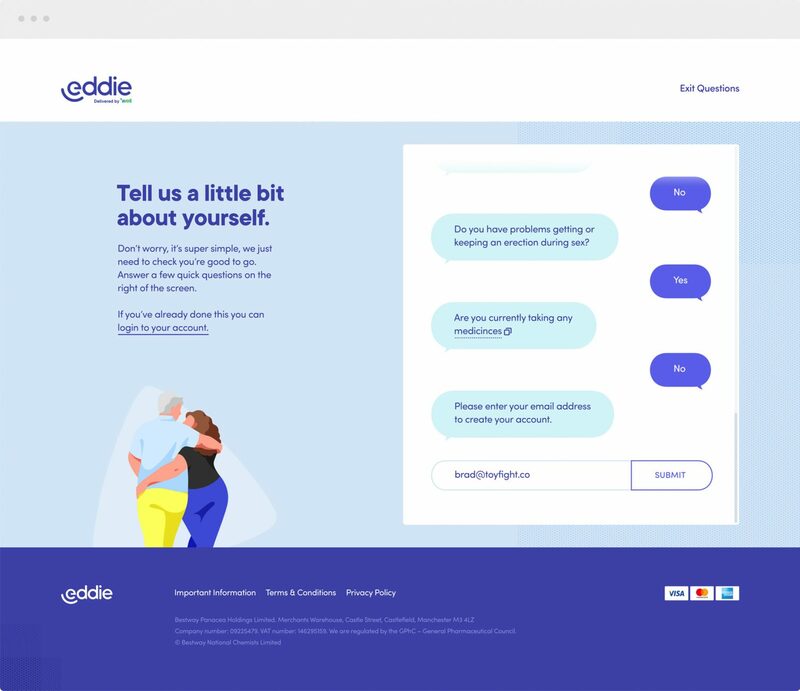 Eddie is a friendly, trustworthy, and discreet subscription service dedicated to men’s health. 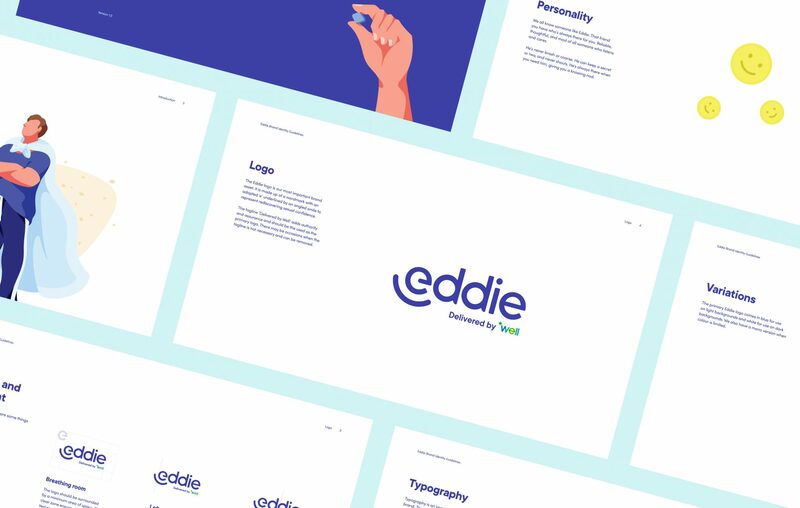 As part of the work, we established an Art Direction and style for the brand including the development of a suite of branded assets that could be used across multiple touchpoints.